On January 12, 2019, Benita Keene-Johnson and Joe Zollickoffer were ordained to the transitional diaconate. It was, by all accounts, a particularly beautiful and uplifting ordination with an inspired sermon by the Rev. Adrien Dawson, rector of All Saints’, Frederick, on the mission of the transitional diaconate. Ramelle walked alongside his mother as she served in the A.M.E. Church but he did not consider himself a church person until he was in college. While attending Wake Forest University he developed a love of hearing great preachers. After returning to Baltimore, Ramelle began attending St. James’ Episcopal Church, Lafayette Square, the former parish of our Presiding Bishop, the Most Rev. Michael Curry and a long-standing African American parish in the Episcopal Diocese of Maryland. St. James became the parish to sponsor Ramelle in his call to ordination. He has been ordained seven years and in addition to serving as rector of Holy Trinity, serves as Diocesan Urban Missioner and serves at the churchwide level, most recently on the Interim Body on the State of the Church, per the 2018 General Convention. 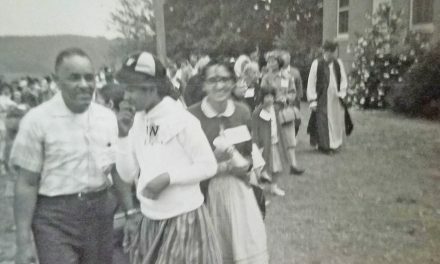 While Ramelle was attending St. James, Benita began to visit. She began to have profound experiences during the Eucharist, experiences of feeling the power and presence of God in a way she’d never felt before. The strong pull of those experiences and the support her son received ultimately called Benita to a new place. They filled in for her something she realized had been missing in her spiritual life. She prayed for God to help her realize her full potential, that it must be more than what she was experiencing in her prior ministry. In 2016, Benita told her husband she couldn’t go on in the A.M.E. Church and that she felt called to pursue ordination in The Episcopal Church. He supported her and one year later, he died. Throughout this devastating time, Benita stayed faithful to her journey and believes that God’s timing was perfect because when her husband died, she was in a community that loved and supported her like never before. Benita had been attending the Episcopal Cathedral of the Incarnation, Baltimore, the parish that ultimately sponsored her in her call to ordination. 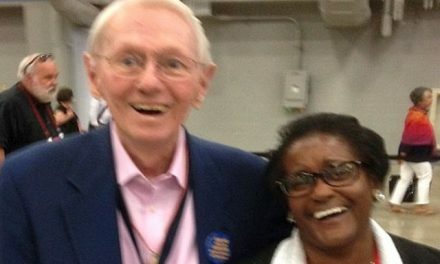 Benita is grateful to countless mentors in the Diocese of Maryland, too many to be named, for wrapping her in the loving arms of God and supporting her like she had never been supported before: the Very Rev. Rob Boulter, the Rev. Caroline Stewart, Bishop Eugene Taylor Sutton, Bishop Chilton Knudsen, Bishop Robert Ihloff, the Rev. Joe Hart and many more. 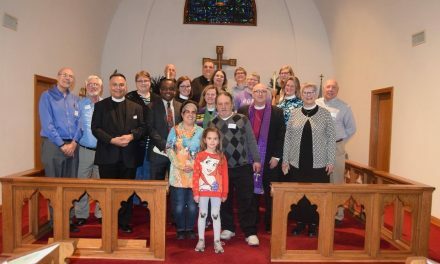 One thing Ramelle loves most about The Episcopal Church is its diversity. “I appreciate that The Episcopal Church can be Afro-centric and not Afro-centric all at the same time. 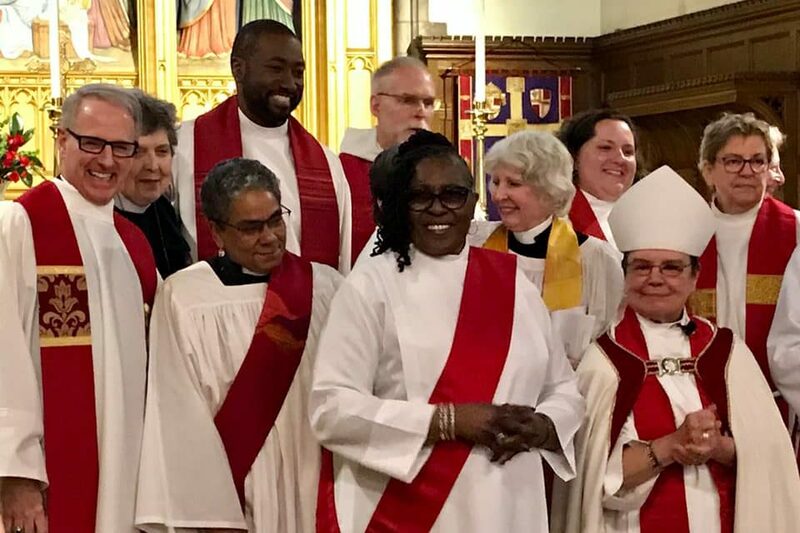 All God’s children are part of one body, in Christ.” Benita has found to full power of that loving ethos in The Episcopal Diocese of Maryland. God willing, Benita will be ordained to the Sacred Order of Priests in September 2019. She brings many gifts to her ministry, not only her past pastoring experience, but her knowledge and love of Baltimore. Benita served for 25 years as a Maryland Transit Administration driver and has worked for the Baltimore City Police Department. She has witnessed racist leadership and enjoys witnessing a larger spectrum of loving leadership through her work in the diocese. Benita is filled with the Spirit, with excitement and with love as she begins her transitional diaconate journey. PreviousEpiscopal Advocacy Day is February 6 in Annapolis. Join us.